Today’s Return to the Guild Week Pick is a 250 page tome filled with material for both DMs and players, including those who reach into the Epic level of play as they travel through the mysterious and dangerous Planes all long-term D&D players long to explore. Marching Modron is an excellent source of third-party support, and they’ve thrown their talented resources at 5th Edition fandom with this series. The Shadowfell goes a bit dark, but that’s kind of in the name, ain’t it. Better still, it and a ton of other products are not on sale for 40% off thanks to the DM’s Day Sale that’s now launched! Marching Modron Press presents to you a very special 250+ page tome, aimed at both players and dungeon masters. 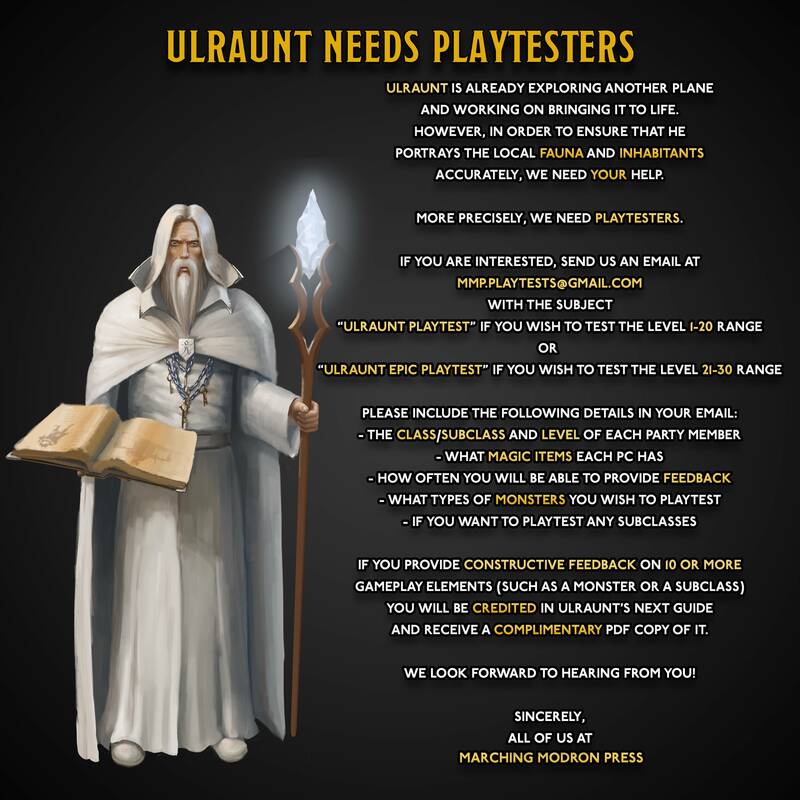 It is narrated by none other than Ulraunt, the Keeper of Tomes at Candlekeep, and also supports epic level play (as introduced in Epic Characters). 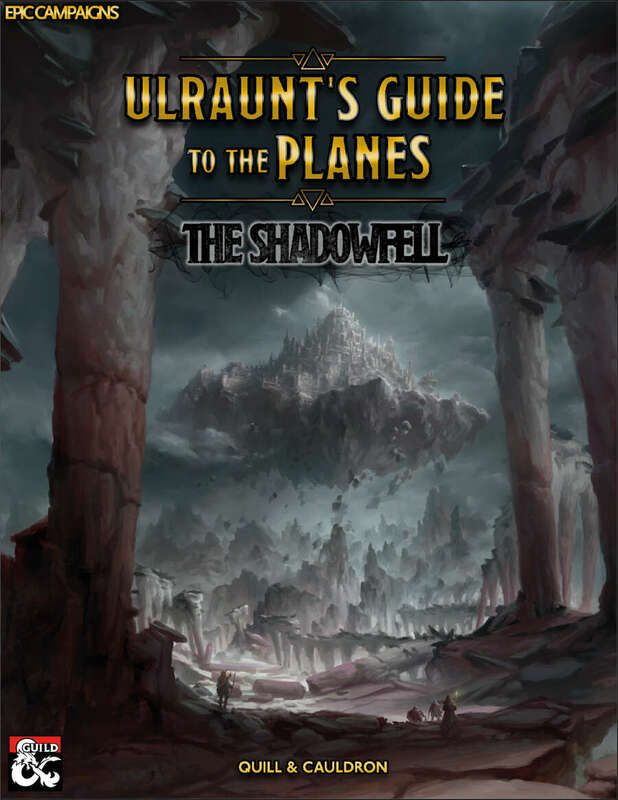 Detailed overviews of three prominent Shadowfell locations: Gloomwrought, Evernight, and Thultanthar, as well as a description of the Fugue Plane. Five Domains of Dread, each with a tragic story tied to a specific Darklord. Statblocks for two powerful elder evils and five well-known deities, complete with lair actions, roleplay guidance, as well as Ulraunt’s own narration of their backstories! Fifteen unique subclasses, including flavor tables to tie your character to aspects of the Plane of Shadow. Over 40 new spells, giving a taste of what arcane secrets lie hidden in the darkest corners of the world. Over 140 new stat blocks for monsters and NPCs native to the Shadowfell, the Fugue Plane, or a Domain of Dread. A monster-generation table intended to help guide the creation of your own CR 30+ monsters (all the way to CR 45), as well as sidebars to help guide creation of deities and avatars. And lots more including unique creature templates, maps, random encounter tables, and notes from other prominent readers of this tome (such as Elminister Aumar). Besides the book itself, you will also find a zip folder containing handouts for your players, as well as a document with links to several surveysregarding the contents of the book.